For sixty years, Kenny's Tile has delivered the best flooring solutions to Grain Valley, MO. The citizens in and around this area know that we will provide the best in tiles, design, carpet, hardwood, and more. In fact, customers consistently rave over the service and workmanship to be found at Kenny's. When it comes to recommendations, Kenny's is highly recommended over other flooring and remodeling companies. This family business began in 1954, and it was built on the concept of family. Construction and remodeling is the name of the game, and we don't cut any corners, because that wouldn't do that for our family. Everyone, from the sales representative to the project manager, stays with the customer until the job is done. This presence and persistence in being hands-on throughout the whole project is what helps Kenny's Tile stand out from the rest of the remodeling companies serving the Grain Valley area. 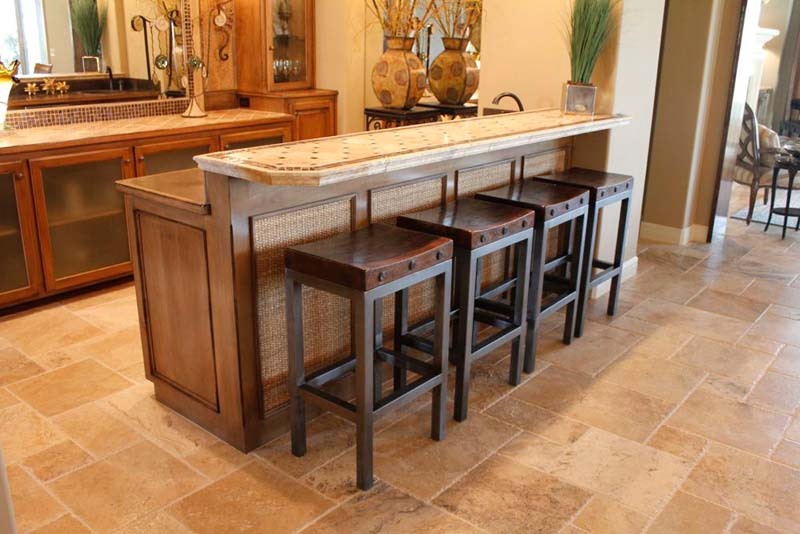 From granite countertop installation to carpet, hardwood floor, or tile installation, Kenny’s does it right. We can even help with refinishing hardwood floors and home remodeling in Grain Valley. Got an iPad? Kenny's understands! Access the app that helps you be an interactive part of your design plans. Kenny's new Interactive Customer Design Center allows you, the customer, to hold the reins. Check out the app, design your dream remodel, and let Kenny's help you through the planning, budget and concepts. Our design team can help you decide which type of granite countertop to install or choose the perfect carpet, tile or hardwood flooring. If you prefer to talk to a real live person, Kenny's has you covered there too. Just walk into the showroom and discuss your ideas with one of our staff members. We can visualize and conceptualize with you to help you reach your desired end result - the home of your dreams in Grain Valley. There is no subcontracting at Kenny's, either. Our name goes on every part of the transaction, so if there are any questions, Kenny's handles it directly. There will never be a third party working on your Grain Valley home remodeling project. Kenny's treats you like family, and family is built on trust. At Kenny's Tile, we pride ourselves in treating every person who walks through the door as a family member. Call Kenny's Tile for an estimate. We can get you that estimate and we will stand by your side and work with you through your remodeling project. Our team is professional, and we will take your job as seriously as we would take a job in our own home.